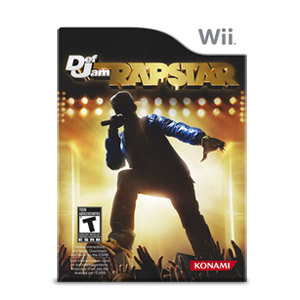 Def Jam Rapstar captures the essence of what Hip Hop is all about: the music, the battles, and, of course, the swagger. The ultimate emcee experience for video game consoles, it is the only music game that focuses exclusively on Hip Hip. With more than 40 of the greatest Hip Hop songs available at release, Def Jam Rapstar allows you to be the star by rhyming and rapping with friends - or creating your own rhymes.